Telemann’s solo violin Fantasias were published in 1735, some fifteen years after the appearance of Johann Sebastian Bach’s Sonatas and Partitas for unaccompanied violin; we do not know if Bach’s masterpieces were known to Telemann, but he certainly didn’t share Bach’s preoccupation to demonstrate how a simple solo instrument could handle very extended forms, and how contrapuntal writing could convey the impression of polyphonic constructions. If anything, Telemann’s gems remind one of Bach’s cello suites: clever music, overflowing with melodic wealth and charm. Telemann also moved swiftly from one source of inspiration to another, pouring out with unhampered ease exquisite melodies, sketches of learned fugues, folk-like cantilenas, nursery rhymes tunes. Each Fantasia consists of three or four short movements, with a duration which goes from as little as four minutes to a maximum of 11 minutes: nothing to be compared with Bach’s divine verbosity. Fantasia no 12 contains a lovely parody of Giuseppe Tartini’s “Didone abbandonata “, published the year before in Italy: here Telemann echoes (and makes fun of) Tartini’s shrill dissonances, derived from the Istrian folk repertoire: one more demonstration that these great men were fully aware of all the latest developments that took place in the whole of Europe. How lovely! Luigi De Filippi is a fantastic musician who really seems to find all the different colours in this interesting music. Thank you! I am delighted to find such a first-rate performance of this rather rare repertoire. Very enjoyable. Beautiful cd! What a lovely sound. Congrats! A great composer by a great musician. Congratulations!
"" 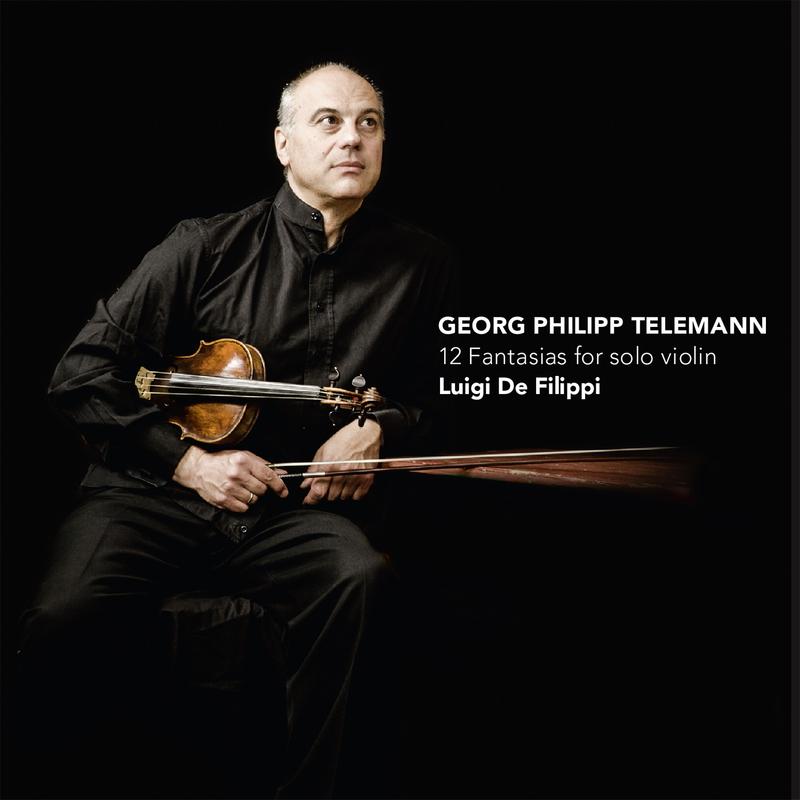 [...] In this great presentation by the magnificant violist Luigi de Filippi you can hear how well he knows his instrument from the inside out. [...] ""